Disney’s live-action remake of The Little Mermaid may be in the pipeline, but our hearts will always belong to the studio’s classic animated film from 1989. 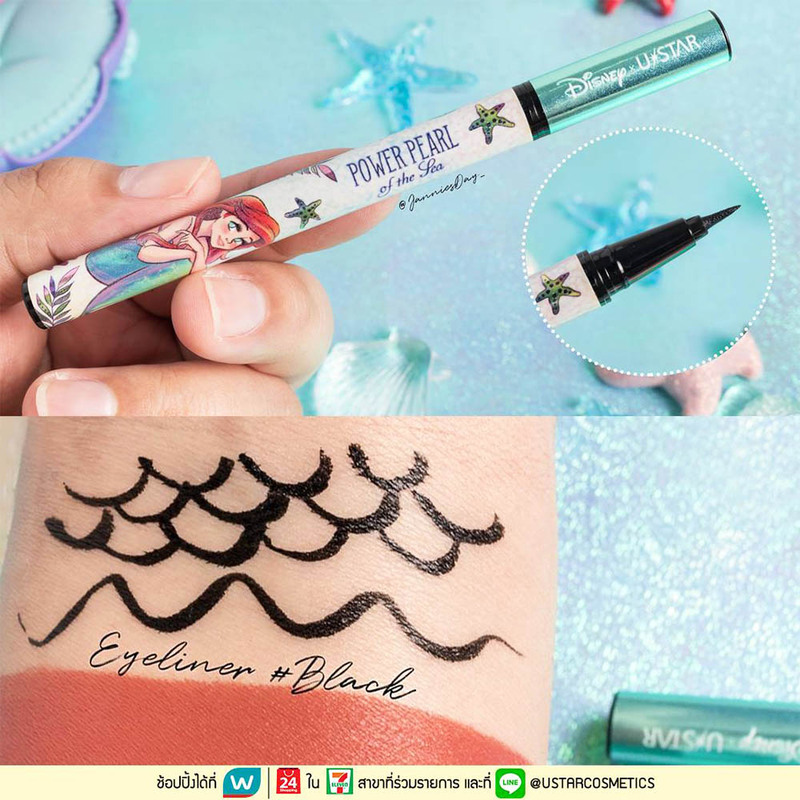 Beauty brands love a good throwback too, and we’re absolutely thrilled that Thai makeup label UStar Cosmetics has partnered with Disney to bring us its collection, The Little Mermaid: Power Pearl of the Sea. You won’t find a crew of your favourite side characters like Sebastian, Flounder or Ursula here, though. 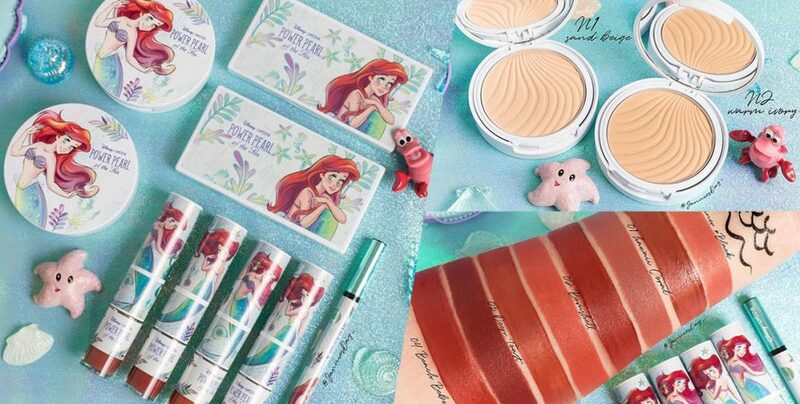 In this limited-edition collection, Ariel’s taking centre stage, and she’s been given a slight anime makeover. 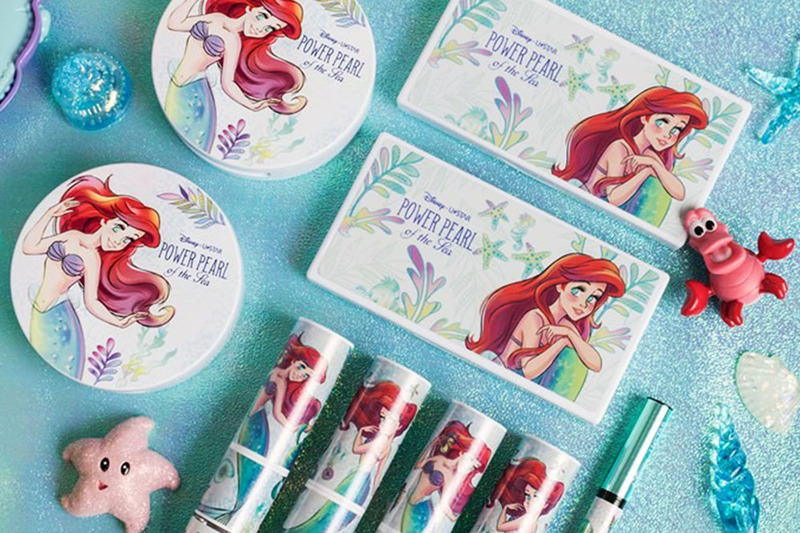 The 4-piece makeup range features compact foundations, two eyeshadow palettes, lip paint duos and a liquid eyeliner. 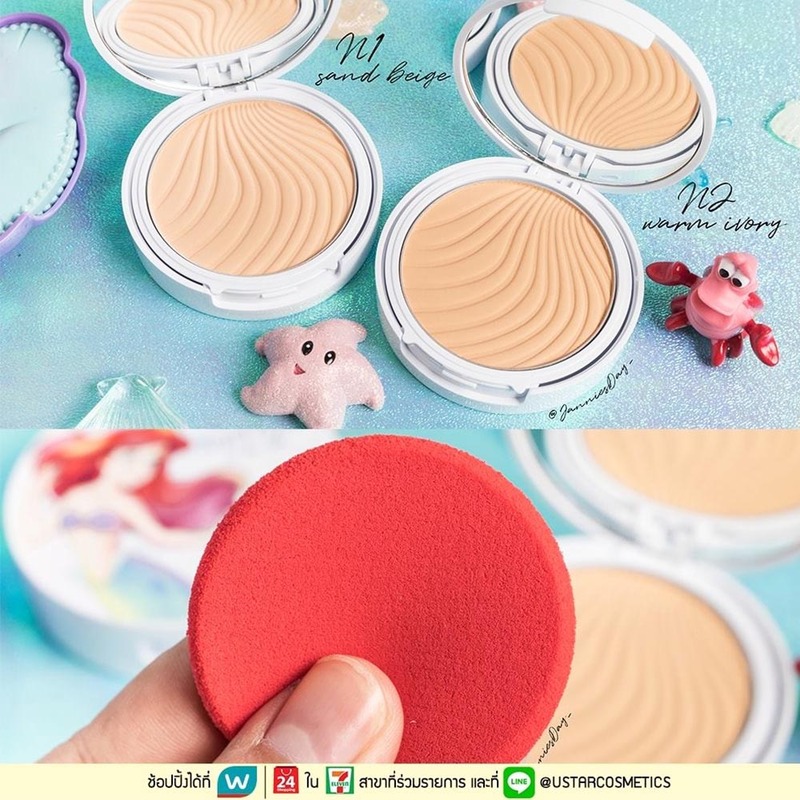 The Mattifying Compact Foundation is debossed with a seashell design and comes in two shades, N1 Sand Beige and N2 Warm Ivory. These fair shades won’t be suitable for those with darker skin tones, so we’re a little disappointed with the selection. 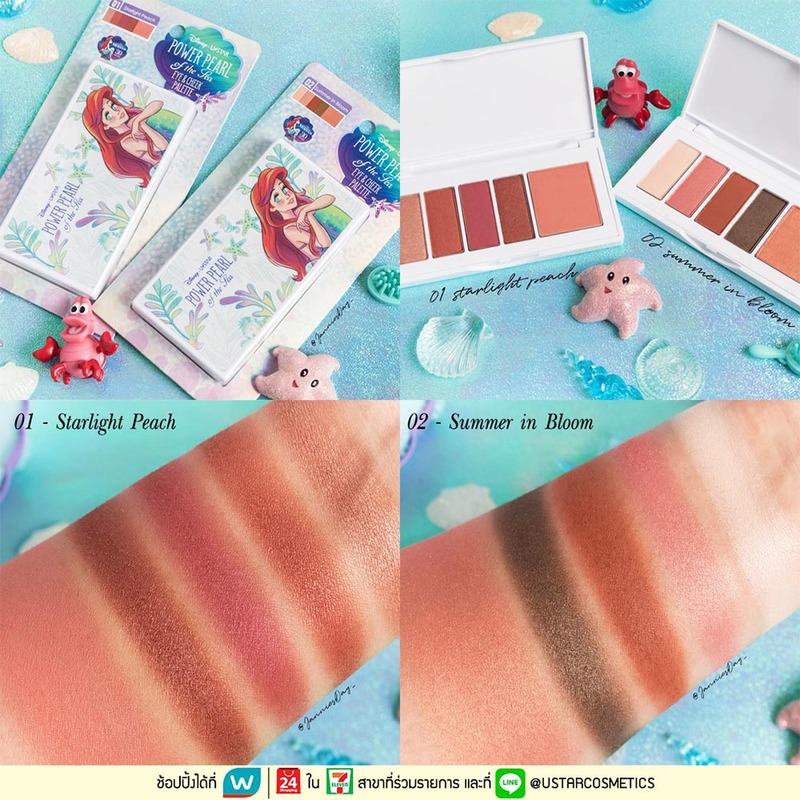 A highlight of the collection is the Eye & Cheek Palette, available in two variants: Starlight Peach and Summer in Bloom. 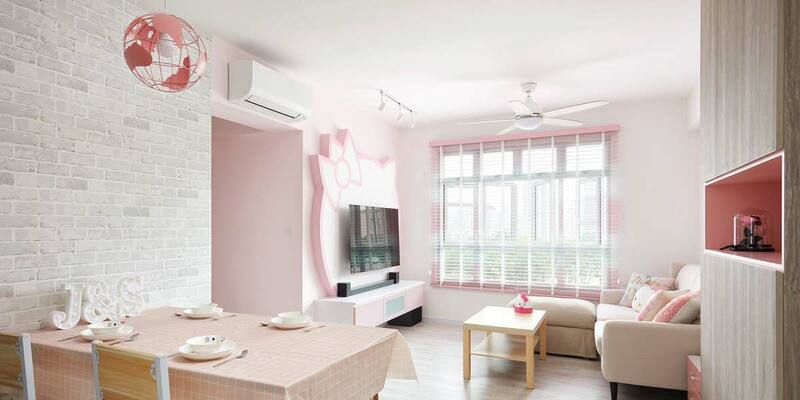 Both versions have warm rose and coral shades that make for easy, everyday options. For a finishing touch, swipe on some lip colour from either end of the Twin Matte Lip Paint, or add a feline flick with the All Day Fix Liner. Just like the eyeshadow shades, the dual-ended lip products come in corals and mauves to flatter most skin tones. 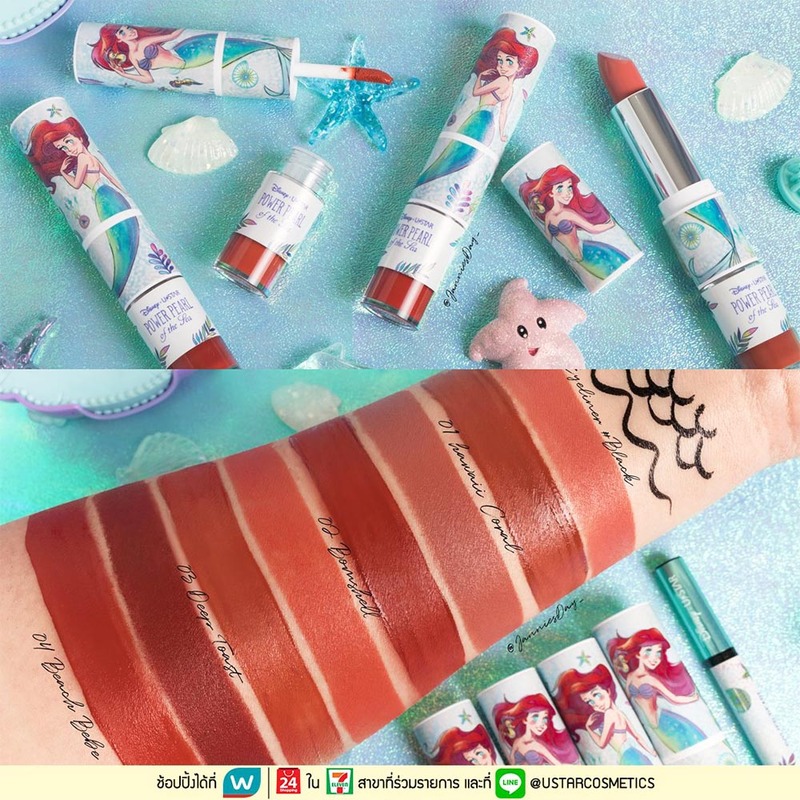 The Little Mermaid: Power Pearl of the Sea collection is only available at Watsons stores in Thailand, so if you’re planning a quick weekend getaway soon, keep a lookout for Ariel! 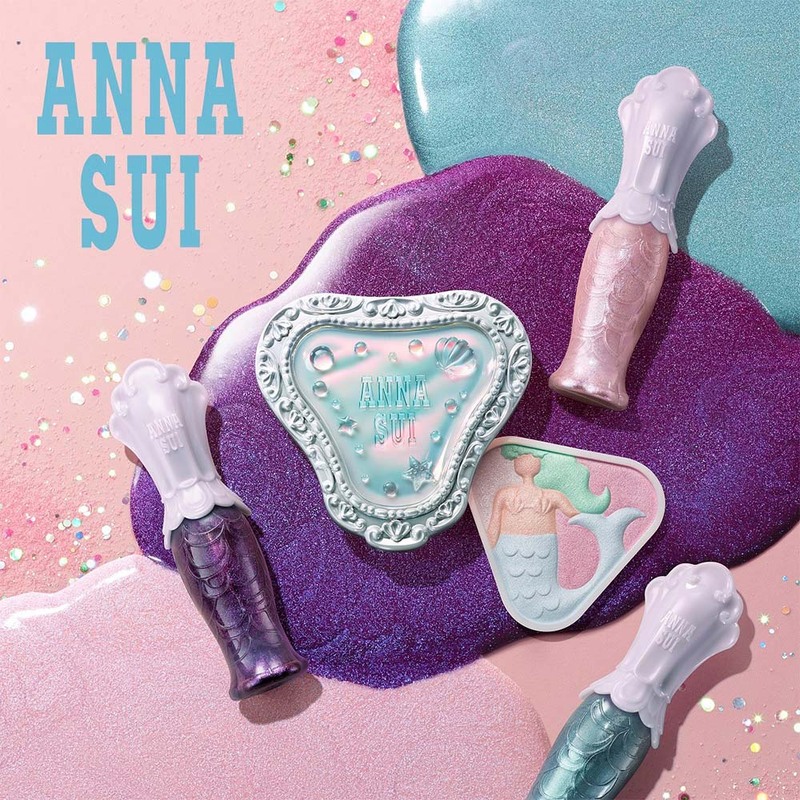 For some mermaid-themed makeup available on our sunny shores, check out Anna Sui’s adorable Mermaid Lagoon collection. The new range features shimmery eyeshadows and seashell-shaped palettes and you can find them at all Anna Sui counters in Singapore.